This year's weather events have emphasized just how valuable it can be to have a reliable portable generator for when Mother Nature takes down the power grid. We name generators from Westinghouse, Generac and Champion as the best choices for most situations. 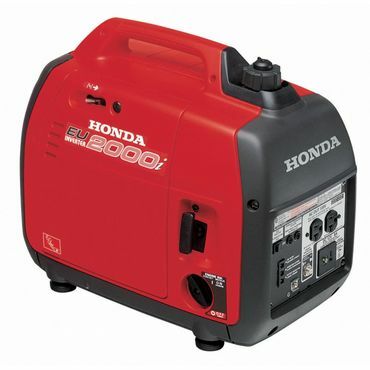 If you need to power sensitive electronics, Honda's inverter generators are top rated. 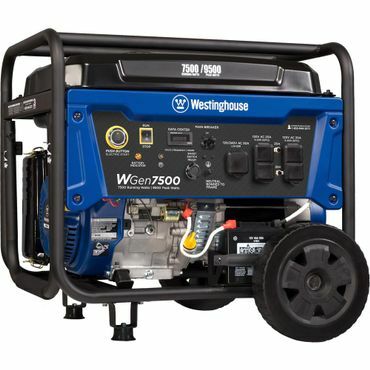 With 7,500 watts of continuous power and 9,500 watts of peak power, the Westinghouse WGen7500 is capable of starting and running almost anything you're likely to need when the power goes out, including sump pumps, multiple appliances and household lighting. The user-friendly design includes conveniences like a fuel gauge, low-oil shutdown, electric start, and fuel shutoff. It's covered by a three-year warranty. With 3,500 running watts and 4,000 peak watts, the Champion 46596 can power essential items – such as a fridge, sump pump, and lights – at a fraction of the price of larger portable generators. Features include a low-oil shutdown, one standard outlet, one twist-lock outlet, and a TT30R outlet for powering an RV. Owners describe it as easy to use. Some say it's loud, but others say noise levels are fine. It's backed by a three-year warranty. The Champion 100165 gives you the flexibility of a generator that can run on either widely available gasoline or clean-burning, easy-to-store propane. With 7,500 watts of continuous power on gasoline or 6,750 watts on propane, it can power nearly everything in the house. The generator is CARB-compliant and has such handy features as an electric starter, low-oil shutoff, hour meter, and three-year warranty. Owners find it easy to set up and use. The 1,600-watt (continuous) Honda EU2000i can't power an entire house full of appliances, but its surge-free power is safe for sensitive electronics like computers and TVs. It's also small, easy to carry and quieter than a normal conversation, making it perfect for tailgating and camping. One of these generators can run a computer setup, fridge/freezer and a couple of lights, and you can connect two together for situations where more power is needed. The Honda EU7000iS combines 5,500 watts of continuous power – enough to run a whole houseful of appliances – with an inverter that enables it to power the most delicate electronics safely. It's a top performer in professional tests and a huge hit with users, who say it's efficient, easy to use, and extremely quiet. Useful features include a fuel gauge, low-oil shutoff, and electric starter. It's pricey, but owners say it's worth it. Portable generators provide electricity when you're off the grid – or when the grid goes offline. When a storm takes out the power grid all along your street, a portable generator can mean the difference between shivering in the dark or sitting in a toasty house with working lights and a running fridge. You can also use one to power your cabin or RV while camping or run your cooking and stereo equipment during a tailgate party. Some owners even use one to run their corded electric power tools on remote job sites. 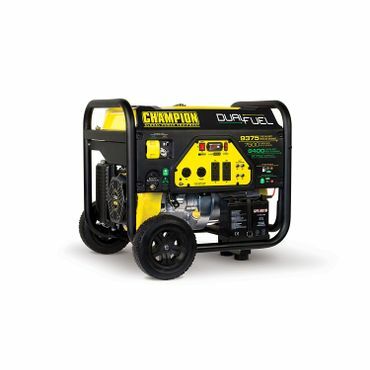 Most portable generators use gasoline as a fuel. You can find more details about sizing one properly below, but a basic, portable generator should be able to provide enough power to cover your home's electrical necessities -- such as a refrigerator, gas furnace fan, microwave, and some lights -- in an emergency. Some portable generators run on liquid propane instead of gas. Others, called dual-fuel generators, are capable of using either type of fuel. Propane is less readily available than gasoline, but it's easier to store and burns cleaner. Also, propane generators require less regular maintenance than gas generators. One problem with standard generators is that they can produce occasional power surges, which could damage electronics. That's why some portable generators are inverter generators: The alternating current (AC) they produce is converted to direct current (DC), which is then inverted back to AC that is "clean" enough to power delicate, expensive electronics like your computer or flat-screen TV. Running a sump pump or just turning on a lamp -- there's a generator for that! Mini. These generators are small enough to carry onto a boat or to a campsite. They typically produce 1,000 and 3,000 watts of power – enough to keep a few appliances running simultaneously during a power outage, such as a refrigerator, several lights and a TV. Midsize. Most portable generators produce 4,000 to 8,000 watts, which can provide emergency power for a 1,200- to 3,000-square-foot house. The exact size you need depends on how many appliances you think are essential to run simultaneously. For example, at 4,000 watts, you could probably run a window air conditioner or the fan for a gas furnace (but not an entire electric furnace), at the same time as a refrigerator and other appliances. At 8,000 watts, you could add an electric water heater. Large. 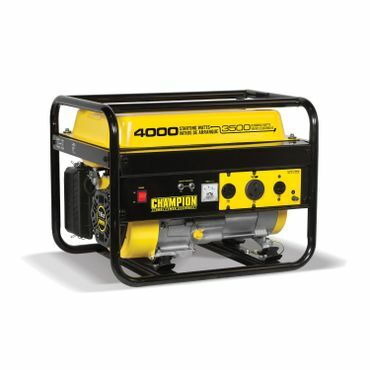 The largest portable generators put out 10,000 to 17,500 watts of power. They're large enough to provide essential power to larger homes, even for extended power outages. At the top end, you can even run an electric furnace, heat pump or central air conditioning. Manufacturers list two wattage levels for each portable generator. Running or continuous wattage, sometimes called rated wattage, is how much power the generator continually produces. Peak wattage, also called maximum or starting wattage, is a measure of how much peak electricity your generator can provide to get large appliances and other power-hungry devices started while still running everything else that's plugged in. In this report, we cite the continuous wattage unless otherwise specified. If you live in California, you'll need a generator that complies with the California Air Resources Board (CARB) regulations. You don't have to purchase CARB-compliant generators if you live in other states, but they do produce lower emissions. Unlike standby generators that are permanently wired to your house, portable generators don't switch on automatically. Instead, you must wheel or carry them out of storage, make sure they're fueled, and start them manually. Nearly all portable models have a recoil or pull-cord starter, just like most lawn mowers. Some also have a push-button electronic starter that's powered by a small, internal battery. An electric ignition won't work if the battery goes dead, but you always have the pull cord as backup. Portable generators typically have two or more electrical outlets, and the better ones have different types for different uses. Most electronics and kitchen appliances plug into standard 120-volt outlets, the kind you'd see in any house. Larger appliances, such as clothes dryers, kitchen ranges and big window air conditioner units, require a 240-volt outlet. Such outlets usually require "twist-lock" connectors with special curved prongs. Ground fault circuit interrupter (GFCI) outlets, available on some high-end generators, offer an extra layer of protection against electrocution by continuously monitoring power flow through the outlet. In the event of a ground fault -- basically, you getting electrocuted -- they're designed to cut power to that outlet in a fraction of a second. A few of the generators we evaluate can produce DC current in addition to their AC output. The most common household use for DC current is charging automobile or RV batteries. The portable generators we evaluate range from a 44-pound model that's small enough to carry by hand to wheeled models that weigh over 200 pounds. While a portable generator's mechanical components come fully assembled, you typically must attach the wheels and handles yourself. For the largest generators, this may require a floor jack, although some owners use levers or recruit strong friends to help them move the parts into position. Portable generators typically come with one to three years of warranty coverage. However, owners warn that a warranty won't do you any good if the manufacturer never responds to your concerns, an issue that crops up in some user reviews. In addition, you may need to transport your generator to a designated service center for warranty service. If there isn't one nearby, or if you purchase a large generator, hauling it to and from the service center can pose a major logistical challenge. ConsumerSearch editors scoured the Internet to find the most helpful expert and owner reviews of portable generators. Expert feedback isn't too plentiful, but we found some useful information at sites like Consumer Reports, Popular Mechanics and elsewhere. We also read thousands of user reviews for various generators at sites like Amazon, Home Depot, Walmart, Electric Generators Direct and more. Using that research, we narrowed the options down to the models with the top ratings for features, performance and ease of use. Depending on your needs, one of these generators will be sure to keep your power on as long as you need it. Reviews point to the Westinghouse WGen7500 (Est. 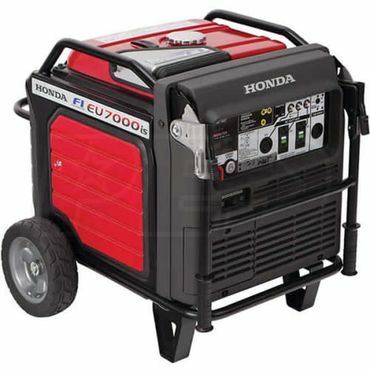 $850) as the best overall portable generator. Its 7,500 watts of continuous power – and 9,500 watts of start-up power – can comfortably power an entire house in an emergency. It also includes just about every feature you could ask for on a generator: pushbutton and remote electric start, a fuel gauge, an hour meter, low-oil shutdown, and a fuel shutoff, which helps prevent leaks and keeps fuel from getting trapped in the lines. It has two 120V outlets plus a 120V/240V twist-lock outlet. It's backed by a three-year warranty. The Westinghouse WGen7500 has not been reviewed by any expert we deem to be credible, but its predecessor model, the Westinghouse WH7500E, performed excellently in tests at Consumer Reports. However, we relied primarily on user feedback, which is ample and excellent, to make this our Best Reviewed pick. At Amazon.com, the generator earns a rating of 4.3 stars based on nearly 660 reviews. These owners largely say that this generator is sturdy, starts easily, and delivers plenty of power without a lot of noise. It also runs a long time on a tank of gas. Some feedback reflects years of use. Feedback is even more stellar and nearly as ample at Home Depot, where it earns a 4.7 star rating based on around 420 reviews, though some of those are drawn from the manufacturer's site. That's not to say that there aren't occasional lemons, and reports of generators that failed prematurely are not unheard of. Reports on Westinghouse's customer service are mixed, with some owners praising the knowledgeable reps and others complaining that they got the brush-off. Another strong contender is the Generac GP5500. It's smaller than the Westinghouse, with 5,500 watts of continuous power and 6,875 watts of start-up power. It has a fuel gauge, fuel shutoff, low-oil shutoff, and hour meter, but it lacks the electric starter found on the Westinghouse. The GP5500 makes a strong showing in professional tests. Consumer Reports names it a Best Buy, saying that it delivered enough power to handle its test appliances, and also did a good job handling surges. Noise is an issue, however. At Electric Generators Direct, the GP5500 receives a recommendation from product expert Jared Grifo, who praises its "clean compact design." Owner reviews are generally positive as well. Most owners say the GP5500 is reliable, usually starts with just a couple of pulls, and delivers enough power to get them tough power outages. The main complaint we saw about the Generac GP5500 is that it's very loud – which backs up Consumer Reports' findings. Complaints about durability are fairly rare, but those who did run into problems often say it's very difficult to get repairs under Generac's two-year warranty. Some had to wait weeks for repairs to be completed, and others complain that the cost of labor (which isn't covered after the first year) comes to hundreds of dollars. The larger Generac GP7500E (Est. $1,000) is also worth noting. It's not covered in professional tests, but it gets very strong feedback from owners at Home Depot, Electric Generators Direct, and elsewhere. It has the same features and warranty as the smaller GP5500, plus a one-touch electric starter, and it delivers 7,500 watts of running power and 9,375 watts of startup power. Owners on sites we checked award this portable generator at least 4.5 stars out of 5 overall, and typically 95 percent or more recommend it. They say it's reliable and very easy to use, with ample power to run a whole house. However, like the smaller Generac, the GP7500E is loud, and getting warranty service can be a hassle. If all you need a portable generator to do is run a few essential appliances during a power outage, there are light-duty models available for $350 or less. These smaller generators provide up to 3,500 watts of continuous power – not enough to run a whole house, but enough to keep some lights and essential appliances going until the power comes back on. They're also suitable for camping. Overall, we found the strongest feedback for the Champion 46596 (Est. $360). With 3,500 continuous watts and 4,000 watts of starting power, it's big enough to run essential items – such as a refrigerator, a sump pump, a TV, a fan, and some lights – during a power outage. In addition to a standard outlet, it has a 120V twist-lock outlet and a TT30R outlet that's compatible with RVs and travel trailers. 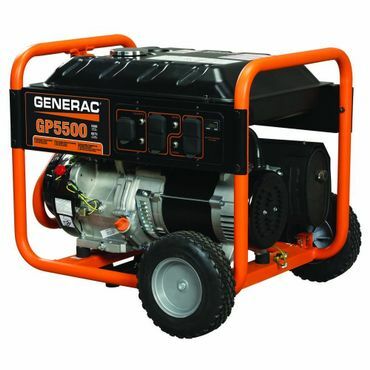 Feedback for this generator comes primarily from owners, and they largely say this generator is easy to set up and start, and it doesn't use too much fuel. Users disagree about the noise level; some say it's nice and quiet, while others find it too loud. We also saw several complaints from owners who say their units were damaged during shipping. Be that as it may, it earns a rating of 4.6 stars at Amazon, based on nearly 240 reviews, while at Home Depot, it scores a 4.7 star rating, with recommendations from 96 percent of the 220 users that leave reviews (though, again, some of those reviews were originally posted at Champion's web site). The 46596 includes a low-oil shutdown sensor, but not a fuel gauge or battery start. Champion's three-year limited warranty is excellent coverage for generators in this price range. Gasoline is an inexpensive fuel for powering tools, but not necessarily the most convenient one. Maintenance for a gasoline-powered generator includes always having fresh fuel on-hand, using a fuel stabilizer, and either running the engine once a month or draining the fuel tank and lines. "Propane-powered portable generators solve these problems and more," say editors at The Family Handyman. "You can store and use liquid propane indefinitely (it doesn't go bad). Refueling is simple and safe; just replace the propane tank with a full one. And you don't have to worry about the carburetor on your generator getting gummed up with old gasoline." Unfortunately, Consumer Reports doesn't test many propane-powered models. The only portable generator that can run on propane comes in dead last in the ratings, partly because it can only run for a few hours on a single tank of fuel. In addition, finding propane-only generators is currently a challenge. For example, we found that the Sportsman GEN7000LP (Est. $875) gets good ratings from owners at Home Depot. However, it's out of stock there and at most other retailers that we checked. If you want a propane-powered generator with great feedback and good availability, your best bet right now could be a dual-fuel model, which can run on either gasoline or propane. The best example we found is the Champion 100165 (Est. $1,075). This dual-fuel generator is comparable in size and power to our Best Reviewed gas generator, the Westinghouse WGen7500. It produces 7,500 watts of continuous power and 9,375 watts of starting power when running on gasoline, or 6,750 watts continuous and 8,400 watts of peak power on propane. (You can toggle between the two power sources with a fuel selector switch.) It's also CARB-compliant, so it can be used in all 50 states. Features include an electric starter, low-oil shutoff, an hour meter, four standard outlets, and two twist-lock outlets (one 120V and one 120/240V). Wheels are also included. The unit is backed by a three-year warranty, plus lifetime technical support. The Champion 100165 can run a 50 percent load for about 8 hours on a full (6.1-gallon) tank of gasoline or a standard 20-pound propane tank. It's also fairly quiet, at 73 decibels (dB) -- though that doesn't stop some users from complaining about noise anyway. It earns recommendations from Grifo at Electric Generators Direct and from reviewer "Jason" at The Tool Report, who names it as one of the best full-size portable generators. User feedback is limited, but generally positive. Owners say the generator is easy to set up and use, and they love the convenience of being able to run it on either gas or propane. We found more feedback for the Champion 76533 (Est. $700), which gets ratings of 4.5 stars or better from hundreds of owners at Amazon and Home Depot. This generator is quite a bit smaller than the 100165, producing only 3,800 continuous watts on gasoline or 3,450 on propane, and that limited utility is largely what keeps it off of our Best Reviewed list. On the plus side, it can keep up this smaller power output for longer – 9 hours on a tank of gas or 10.5 on a tank of propane. The Champion 76533 has just two standard outlets, as well as a 120V twist-lock and an RV hookup. Owners praise its simple setup, easy battery start, dual-fuel convenience, and reliable, steady current, but they say it's surprisingly noisy for its size, at 68 dB.